They way they're hacking and slashing prices you'd think they were insane! 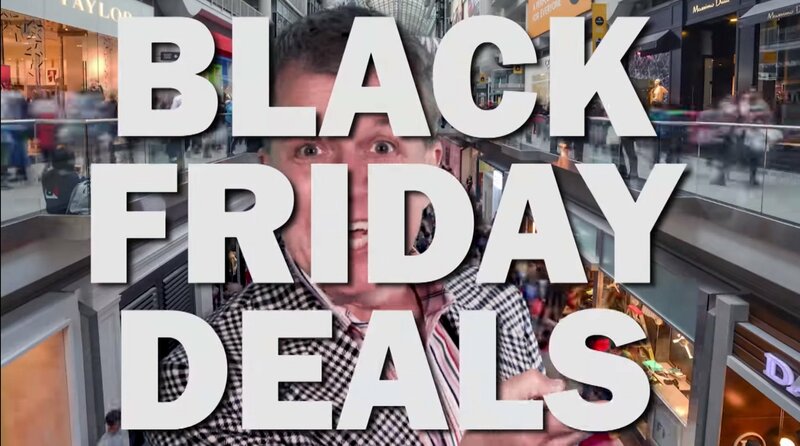 Black Friday is just around the corner and the deals are starting to pour like rain. Today Microsoft laid all their cards out on the table and revealed their offerings for the upcoming mega shopping day. The announcement was made during the company's Inside Xbox X018 livestream special with a pre-recorded video of Major Nelson himself acting like a crazy local car salesman as he laid out the deals. The biggest deal seems to be saving up to $100 off select Xbox consoles, which starts runs from November 18-26 and brings the price down to $399,99 for an Xbox One X. Consumers will also be able to $100 off Xbox One S Minecraft Creators Bundle and up to $70 off other select Xbox bundles. Xbox wireless controller, including custom ones made in the Xbox Desing Lab, will be $10 off November 22-26. Folks who opt to buy a controller from a retail outlet will pay full price, but get a digital token good for a free copy of Gears of War 4. Starting on November 10 and running until January 3, players can pick up their first month of Xbox Games Pass for just $1. And between November 15-30 they can get a month of Xbox Live Gold for $1 or save 40% on a three-month subscription from November 22-26. You can check out Crazy Larry in all his full holiday glory below. Some of Microsoft's Black Friday Deals start today and are already available at their online store. We'll be updating all the big X018 news as it continues to break.